01. 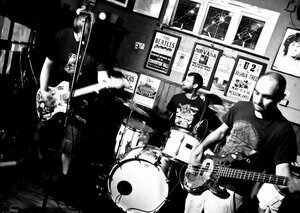 Grubby, gritty noise-rock foolishness is the order of the day for Gummidge, a trio from Gallimh, formed in 2010. You may remember them. 02. Releasing debut album Sick Again in 2012, the band has kept the home fires burning with work on Heartbreakers, a second LP released earlier this month and launched with a Galway gig. 03. Streaming above, available from the band’s Bandcamp. No formal physical release, but all digital purchases to receive liner notes in a card posted with each order. 04. Launching the new album in Dublin, at the Jigsaw arts space, next week on the 5th, with support from Ten Past Seven, 1, and Mercurius Forebrain. Verdict: Angular, awkward, and noisy as ever. Grand job. Posted in Music, You May Like This and tagged alt, Galway, Ireland, music, new Irish music, new music, noise at 12:08 pm on October 26, 2016 by Broadsheet. 01. Dubliner Naoise Roo’s star has been on the ascendant, with a heavyweight voice to bear heavy subject matter. 02. Debut long-player Lilith released last year on bespoke tape label Little L Records, and quickly established herself and her band, going on to share bills with the likes of Elastic Sleep, and circumnavigating the Irish festival scene. 03. Streaming above is the bare-bones, single-shot video for For You, taken from Lilith. 04. On September 24th, Naoise and outfit take on Galway’s Roisin Dubh as the first date of her upcoming #WHORETOUR in support of upcoming single Whore. 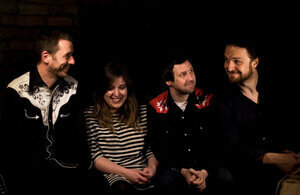 Support from Irish DIY-music cornerstone (and featured photographer) Laura Sheeran. She also plays Hard Working Class Heroes fest, October 6th-8th across Dublin. VERDICT: From a diminutive frame emerges a preternaturally sultry vocal and prodigious presence, given a gently menacing alt-rock undercurrent by an equally accomplished group of collaborators. Posted in Music, You May Like This and tagged alt, Dublin, grunge, Ireland, music, Naoise Roo, new Irish music, new music at 12:28 pm on August 25, 2016 by Broadsheet.